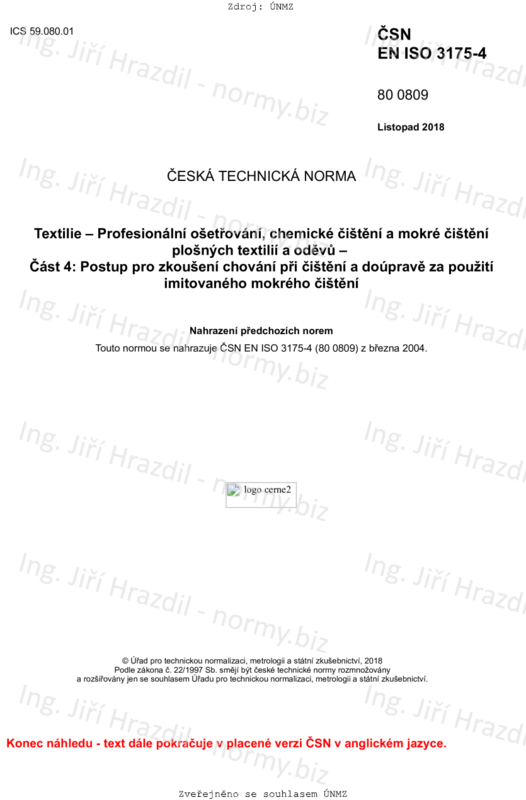 This document specifies simulated professional wetcleaning procedures, using a reference machine for fabrics and garments. It is intended for fabrics and garments that cannot be washed and need professional finishing. It comprises a normal process for normal materials, a mild process for sensitive materials and a very mild process for very sensitive materials. Localized staining and stain removal fall outside the scope of this document.